Pick up then Transfer to hotel and handle check in. Short briefing that afternoon followed by orientation walk. Overnight at hotel. Around Kathmandu valley: The holy place of Pashupatinath temple, Shoyambhunath temple, Boudhanath Stupa & Kathmandu Darbar Square), arrange the necessary permit for Trekking and Climbing. Overnight at Hotel. (2800m). Trek to Phakding around 3 hrs easy walk. Overnight at Teahouse lodge. Early wake-up today because this is a big push. First part is pretty easy. Today is a higher altitude day so slow and steady will work best. You can see Mount Everest (Chomo-lungma) from the new style bridge crossing at Dudh Koshi .Keep walking up to Nauje (Namche Bazaar). We will have nice hot snacks in Nauje which has many Sherpa shops, lodges, and restaurants. 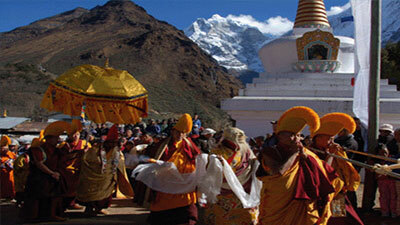 Nauje (Sherpa name for Namche Bazaar) is a fun place for both Sherpas and trekkers to enjoy / camp. Acclimatization day which gives us time for a sightseeing tour or an excursion towards the village of Thame or Khumjung, which has fantastic views of Mt. 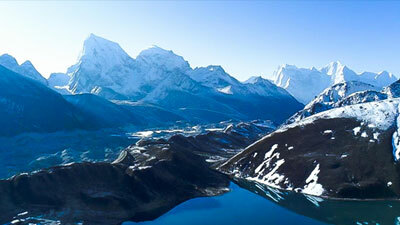 Thamserku (6608 m), Ama-Dablam (6856 m), Mt. 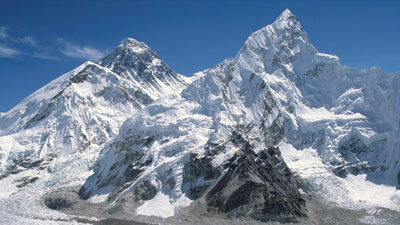 Lhotse (8510m), Mt. 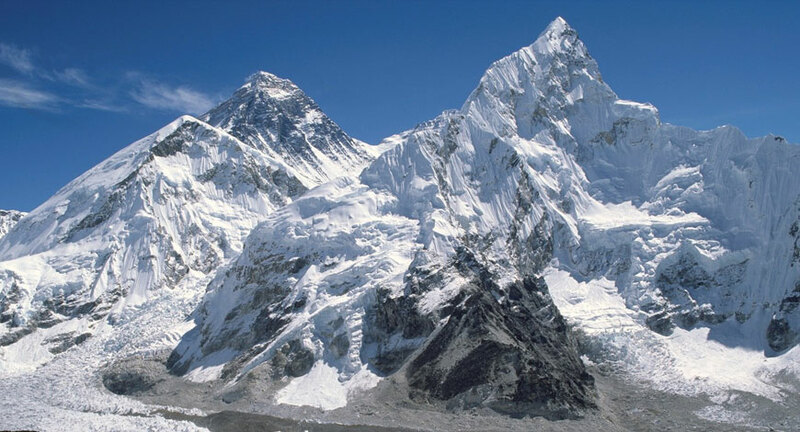 Everest (8848m), Mt. Nuptse (7861m), Island Peak (6189m), Tobuche (6367m) and many mountains. Overnight at lodge. Walking about 5 hrs. Our journey starts to walk with sunshine great views of the Everest, Lhoste, Nuptse and Ama Dablam. Steep descent towards a bridge over the Dudh Kosi at (3250m), which is deepest valley after Namche and Before Base Camp and then climb up a zigzagging path through rhododendron bushes. 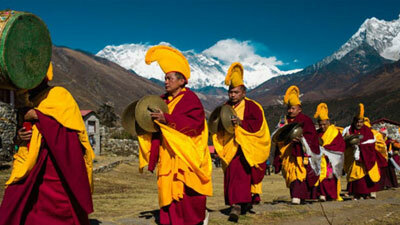 Some superb mountain sceneries towards Tengpoche, famous for its legendary monastery, the largest in Khumbu. Overnight at lodge. Walking around 5 hrs. An easy descent through woods towards a suspension bridge over the Imja Khola river, then a steady climb up to Pheriche via Pangboche (3930m) that houses the most ancient monastery in the region and continue to Dingboche. Overnight at lodge. 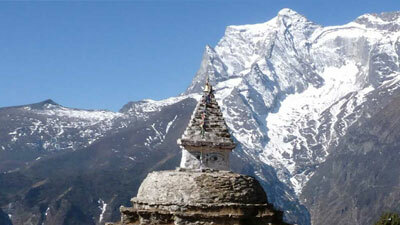 Explore to the Chhukung Village (4756m), great views of Lhotse, Island Peak, Kali himal. Overnight at lodge. Walking about 5 hrs. The trail starts from the easy walk but is little bit difficult walk cause of high altitude. 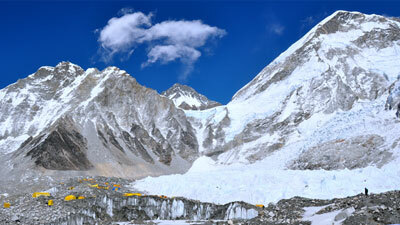 After 3 hrs walking distance, the trail starts to climb up to the Memorial Camp and continue to Lobuche. Visit to Italian Research Camp, views of many mountains including Nuptse, Pumori (7165m), Khumbu Ice Fall etc. Overnight at lodge / camp. Walking in the Khumbu valley alongside of Khumbu Glacier and after Ghorakshep walking along the glacier or some time on glacier too. Hard catching breathes and spends some time at EBC than back to Ghorakshep. Overnight at teahouse lodge / camp. Wake up early morning and walk up to Kalapatter for Sun rise Views of Everest, Nupse, Lohtse, Pumori just above and Khumbutse and beautiful views of Khumbu Glaciar and back down to Lodge and walk down to Lobuche. Overnight at teahouse lodge. Trek back to Tengboche. Overnight at tea house lodge. Trek back to Namche Bazaar. Overnight at teahouse lodge. (2600 m) now trek back to Phakding. Overnight at teahouse lodge. (2800 m), about 3 hours walk will finishied our great journey to the highest mountain. Overnight at teahouse lodge. Fly back to Kathmandu. Free day for shopping. Overnight at hotel.